Keywords: translucent checks, embellishments, french tip, disco balls, bear, roses, abstract, butterfly, sticker, charm, marbling, marbled, paddlepop, seashell, beach, gradient, gold leaf, ribbon. Keywords: 3D, embossed, flowers, embellishments, gold leaf, translucent checks, heart, ribbon, lace, gradient, glitter, french tip. Keywords: fine lines, geometric, triangles, dots, tribal, grid, disco balls, embellishments, charms, checked, checkerboard, french tip, striping tape, squares, abstract, neon, aztec. A week ago, we blogged about our exciting Open House to welcome everyone to try our services at our spacious new North Bridge Road outlet – and the dates were initially set as 21 and 22 October. We’re now very happy to bring you the good news that due to overwhelming response, we’ve added another date to our Open House so more of you can enjoy the special deals that we have! 1. You can get a gel manicure with a full set of nail art for a grand total of just $66. We’ve handpicked ten sets of nail art, each worth at least $45, for you to choose from, and our gel manicure is valued at $55, so this deal is worth $100! 2. Pamper your feet with the ultimate spa pedicure – an organic spa treatment with ginseng, volcanic silt, rice water and milk, or with milk, honey, white chocolate and Moroccan argan oil. Now at an incredible steal – priced at $48 instead of $83! 3. Purchase any package and take part in a sure-win instant lucky draw. 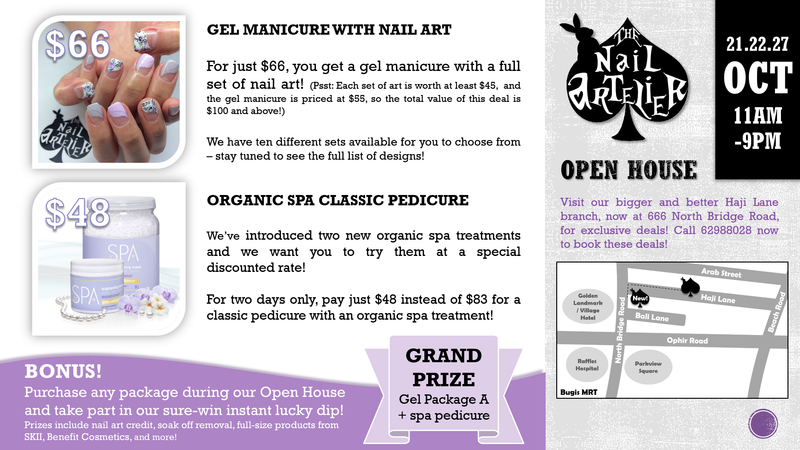 The grand prize is a 4-session gel package and a spa pedicure! 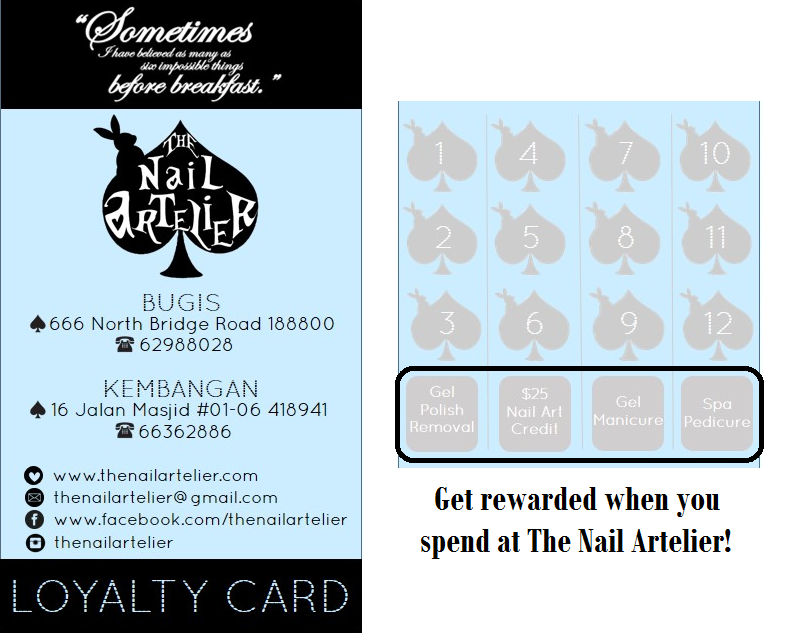 Other prizes include full-size products from brands like SKII and Benefit Cosmetics, and also nail freebies like nail art credit and soak-off removal. 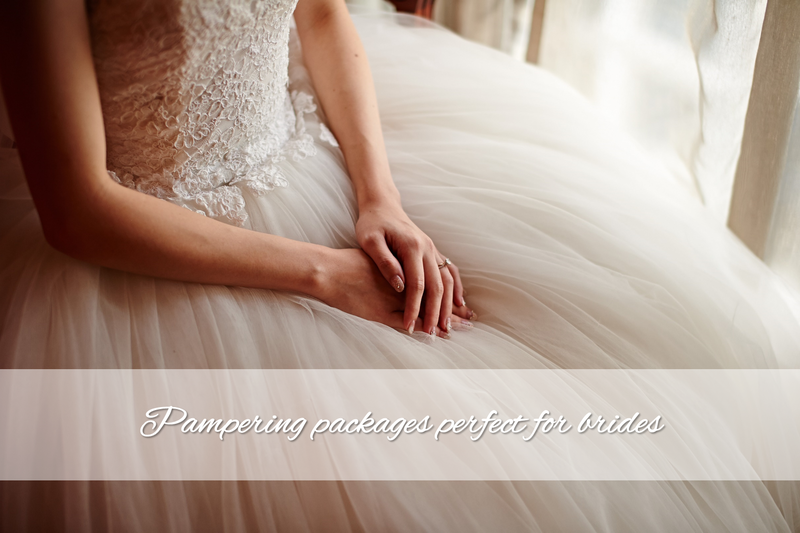 Appointments are strongly recommended – please call 62988028 to book!